On monday, just happen that we were around the city with a McDonald nearby, so it came to me that why don'twe have McDonald breakfast for a change. We usually have economy mee and stuff for breakfast, having burger for breakfast is not our norm. 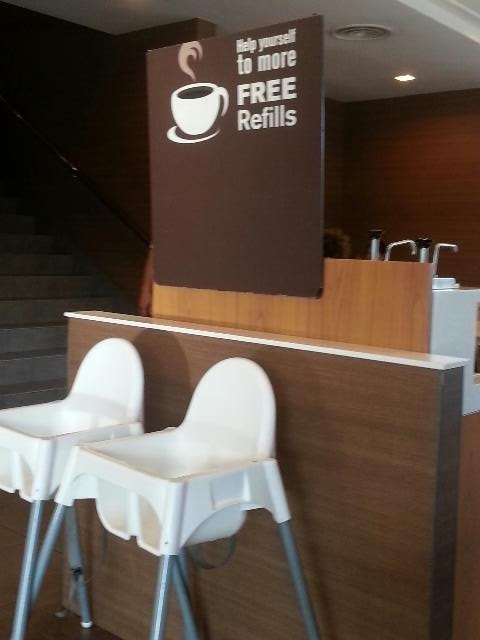 When I stepped into McD I saw this sign in front of me, there is a pot of coffee on the table waiting for coffee lovers. I am not a coffee addict but more towards casual coffee drinker with lots of milk and preferably with brown sugar as sweetener. 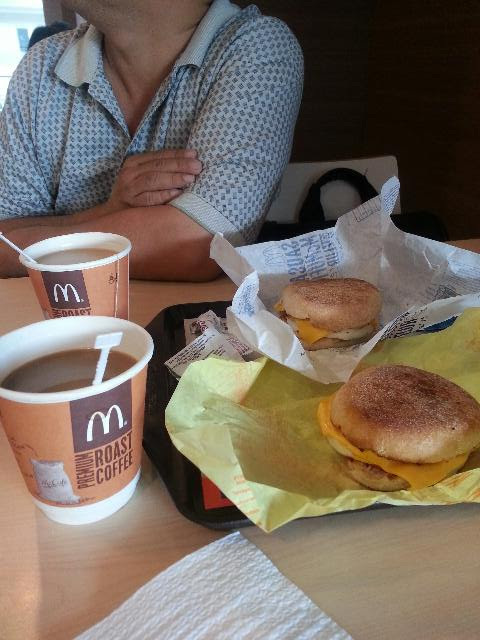 Back to McDonald breakfast, since our kids are at school, we ordered one set of each for ourselves. Honestly, I like its burgers, expecially the texture of the buns. 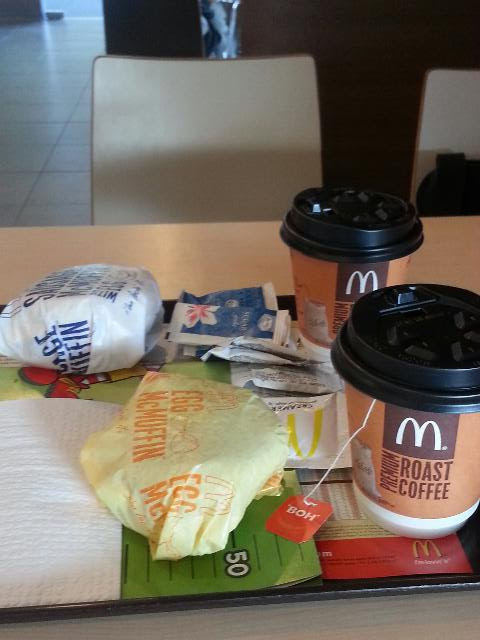 Two sets of Mc breakfast only cost us around RM10.00 (USD3.20), reasonable. 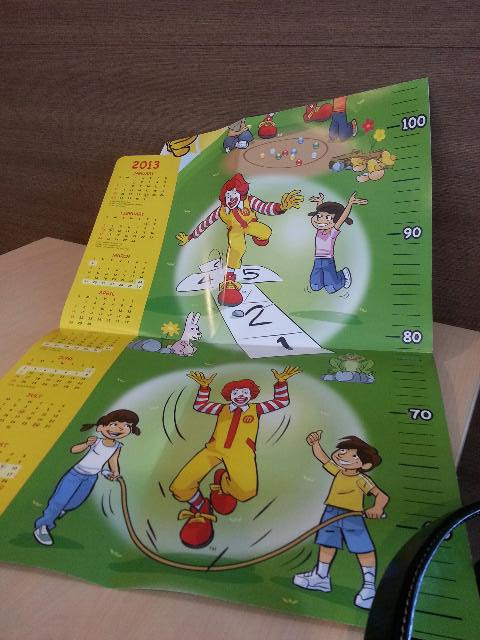 With the purchase, we were given a piece of the heights measurement scale for kids, very colourful. That will add colours to my kids fashion shop. Needless to say, I refill my coffee and take it away to the office. Clet helped me to refill. 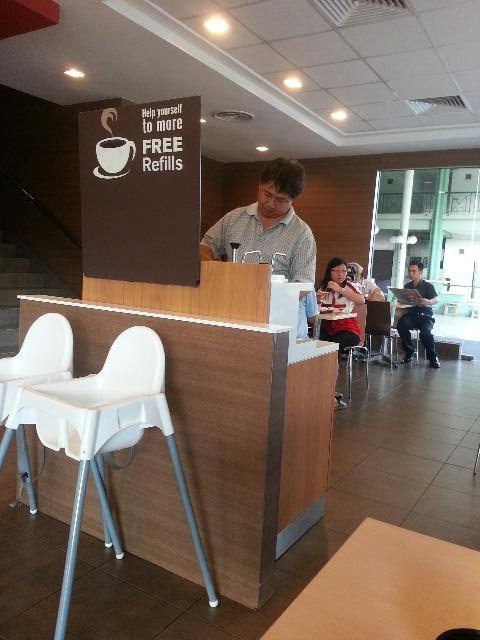 If you want to have a free flow of coffee in the morning, go to McDonald. This is a good business tactic! But coffee is not my thing, hehe..
Coffee, the most I can take a cup per day only. More than that isn't healhty actually. Yan you are right. I always purposely make a small cup so that I can enjoy more times of hot coffee in a day. Yes . This is only during breakfast time. You know, I don't mind admitting that I like McDonalds! The one I used to go to near London Bridge also used to refill your coffee but not the one in Charing Cross.